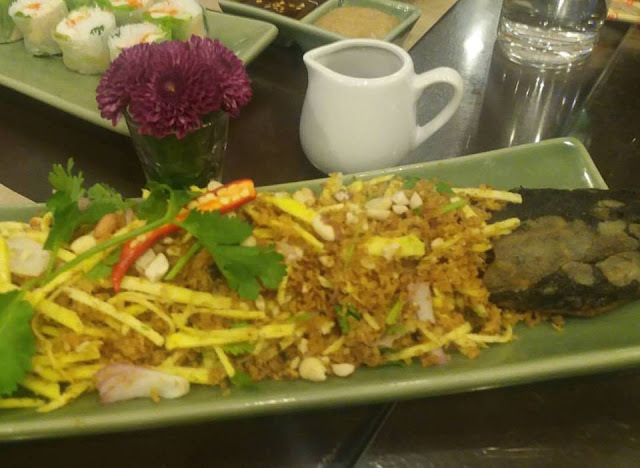 Spiciness and vibrant tastes are distinguishing characteristics that make authentic Thai cuisine incredibly special. 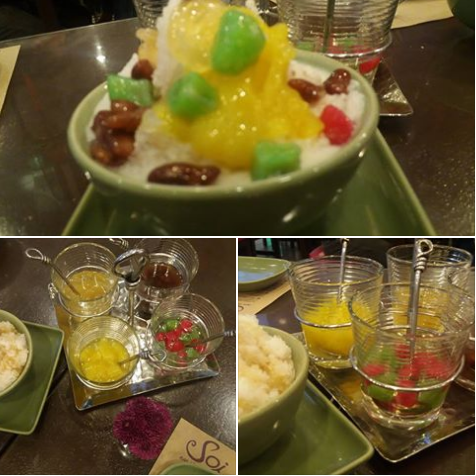 At Soi, we were treated to flavorful Thai meals. It blends sweet, spicy, salty, and sour flavors. It uses garlic, ginger, lemongrass, and chili to tickle taste buds. Soi Thai mixes mix strong flavors to create winning recipes. We were served Thai meals as soon as we were seated to enjoy combinations of different tastes. The Thai Spring Roll is rice glass noodles mixed juliened carrots, shredded cabbage, cilantro and bean sprouts. The roll comes in sliced, bite pieces with peanut and hoisin sauce (P 168) on the side. Green Curry Fried Rice with Fish Fillet (P 188) is a hefty serving of breaded fish fillets over a seasoned cup of rice. Crispy Catfish Flakes with Mango Salad (P 258) is a quick salad appetizer that combines of a nest of crispy fish meat and shredded fresh green mango. Sukothai is another well-executed dish. The flavorful soup combines Sukhothai-style rice noodles with slices of roast pork. I love its sweet pork-based broth, that has a hint of lemon grass, tamarind and coconut milk. I wish that it has more heat though. Tom Yam Talei (P 348) is a soup with noodles , meat balls , asado meat, tofu, mung bean sprouts, plus coriander leaves. 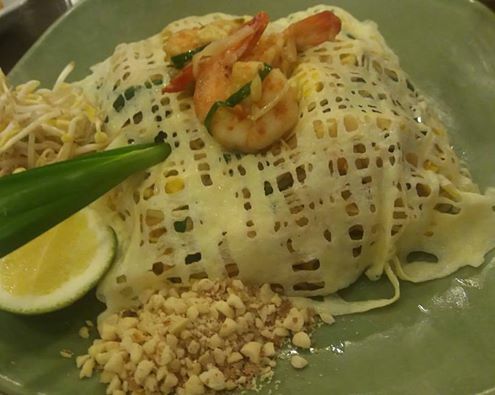 Soi Thai's take on the Pad Thai noodles is beautiful. It has that web-like topping made from egg and batter mixture and comes in 3 variants. 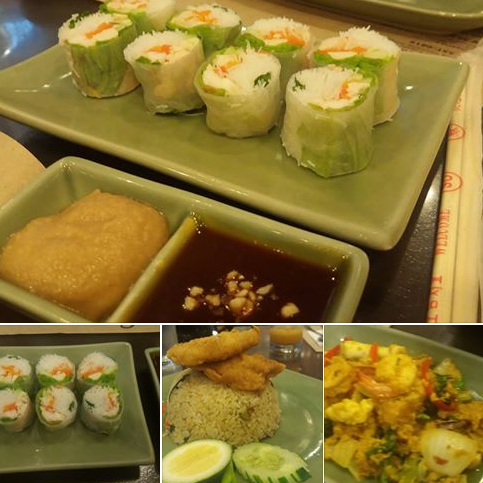 You may choose from -Shrimp (P 298) , Chicken (P 248) and Tofu (P 198). We also tried their Pork Satay and Chicken Satay that comes with dipping sauces. Bagoong Fried Rice (P 198) had salted duck egg, sliced cucumber, pork, shrimp paste, sliced mangoes, chopped string beans, sliced onion, dried shrimp, scrambled egg and chopped chilies. The ingredients are supposed to be mixed into the rice to create a wonderful dish. The do-it-yourself Thai halo-halo (P 138) includes water chestnuts, mung beans, jackfruit and syrup to taste. It is a refreshing way to end a great meal. Soi Thai treats you to layers of texture and flavor in the best possible way. The restaurant is on its 10th year and currently located in 5 strategic areas. Visit one soon.